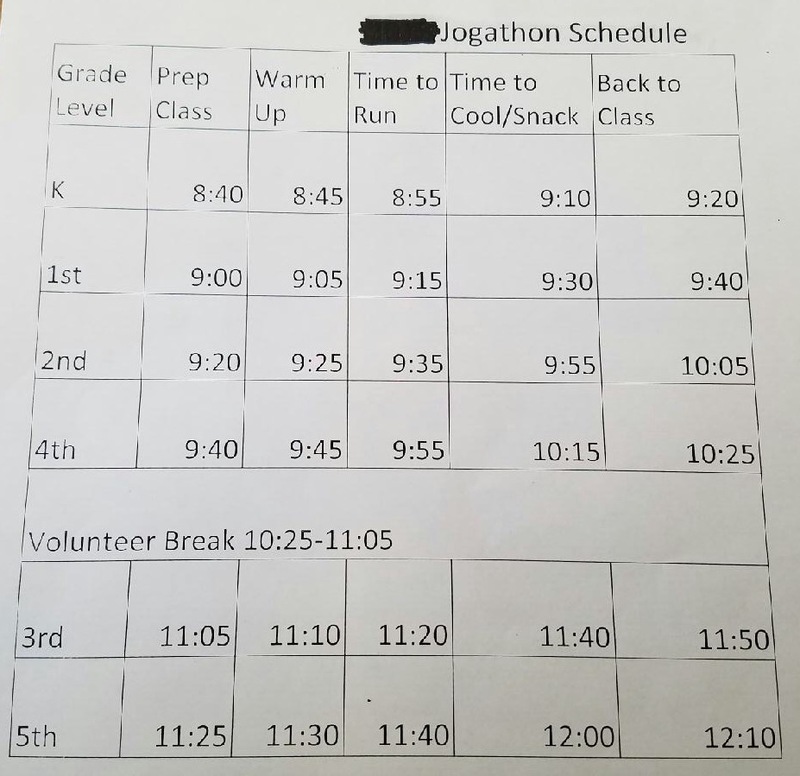 Just a reminder, the Jog-a-thon is tomorrow, Monday, February 13. If you signed up to volunteer, we hope you can still help! See below for the schedule for the day. If you would still like to volunteer, contact Shannon at chiefsmiley13@hotmail.com. Volunteers need to have a district volunteer badge. If you have not returned the permission slip/pledge form, please sign it and send it to school with your child tomorrow so they can participate with their class. Thanks for your support!